Photography Rachel Chandler, fashion Tom Guinness. All clothing by Vejas Kruszewski (far right). It's astounding who we meet and what we can do --and how fast, too! --when we are passionate, deliberate, and open. As we mentioned previously, we had that singular honor of providing our unique candles for Vejas' Paris Fashion Week excursions: they were showing at the LVMH Headquarters last week, and are wrapping up their own personal showroom alongside the end of AW16 Fashion (Week) Month. Fresh from their feature in the Dazed 100, Vejas is at it again. Behold: the cocktail reception of the LVMHPRIZE showroom 2016 (and see our new friends at 00:11 seconds in, and additionally at 00:47). We hardly have time to ponder the why and how of it all; but the state of things as they are is that we are now fast friends, and prouder than punch of their hustle. Today the LVMHPrize announced the Top 8 Finalists and, naturally, Vejas made the cut. To us, this comes as no surprise: though they are young, the Vejas team is passionate, driven, and incredibly talented. Bravo, Vejas. here's to a meteoric rise! Nobody would ever guess that our super-cute best-selling candles started out as a performative joke we dubbed ‘Chapstick Mountain.’ We started making candles as a break from drywalling and painting while renovating the store; --when looking for a use for some twenty pounds of unfiltered beeswax they sort of just happened. We dabbled in a few other shapes and wick layouts, but we realized that what we wanted to make was something small, affordable, unique, fun. What we have created is a beautiful conduit for wax flow —since nobody doesn’t like playing with wax. Our dear friends at The Understory caught us candle-making last month, and we've been beaming since we saw the results. Fabian, Maya, thank you. We use beeswax because it’s simply the best, it’s natural [not a petroleum distillate or agriculture crushing mono-crop], burns the cleanest, and (allegedly) negatively ionized [we are skeptical]; we use linen wicks because they’re free of heavy metals, flat woven, unwaxed, and made of entirely organic fibers; we scent and color with natural herbs and oils because we believe in a holistically healthy and honest product. We strive to make a product that we ourselves want to use. We never would have guessed that we would have spent last night rushing a special suite of candles to our new friends at Vejas for their Parisian showroom at LVMH headquarters (where they are shortlisted for the prestigious LVMH prize)... but then again, all things seem possible when you work diligently and do what is needed. Here's to afterthoughts that become staples. Here's to making things (Better). Candles are available in store, online, and now at The Noguchi Museum in Long Island City, NY. Nestled in Delaware County, in New York's Catskill Mountains, Kelli Cain and Brian Crabtree live a contemporary dream. Makers, doers, and friends, their talent is only matched by their warmth (especially in the coldest season). 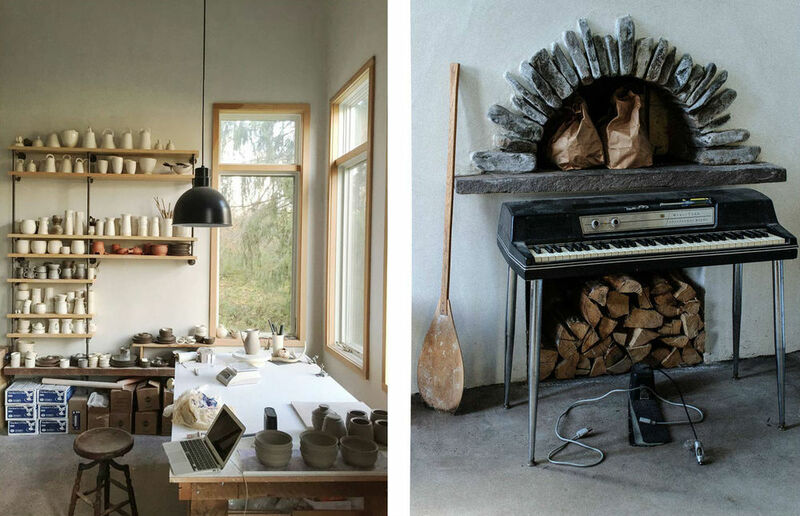 As if to reaffirm their incredible hospitality, they opened their cozy farm home --they built the entire place themselves, by the way --to photographer and fellow Better buddy Sasha Lytvyn and Berta Bernad for a Woolrich campaign that was later featured on Vogue.es. As Kelli and Brian travel West to escape the last of the Delhi winter, it feels apropos to feature some summarily summery prints by Sasha on the walls for our next Better; Gallery event. Because beachy photos and coastal California is about as West Coast as it gets. Friday, February 19th: Brian and Kelli play a live set at Better. Be there.